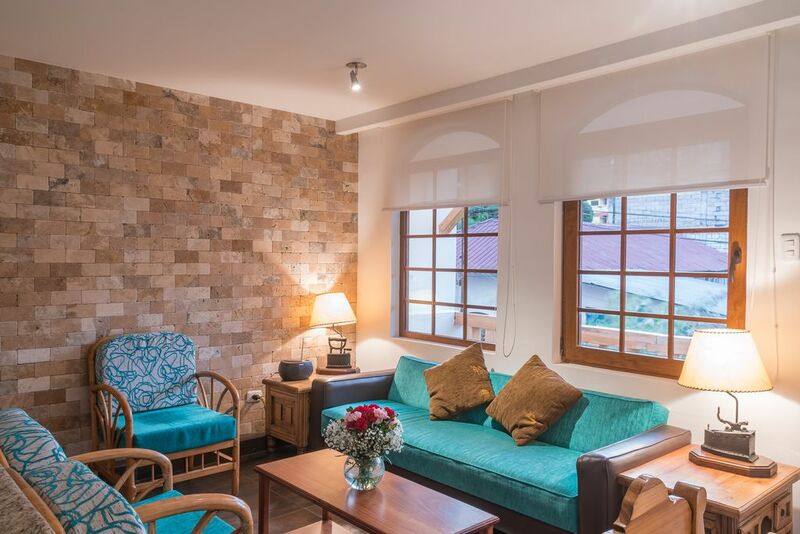 Featuring 1 apartment and 5 rooms for 12 people, located in downtown Baños. Baños is located 106 miles (2,5 hours drive) from Quito, the capital of Ecuador, and 62 miles (1 hour drive) from the Amazon rainforest. Spring weather, with an average temperature of 63 - 77 °F all year round, and some rainy days. Use of 4 swimming pools and jacuzzi with volcanic hot water with spectacular views in Luna Volcán, Aventura SPA located 6 Km. From Baños, 15 min. Taxi $ 5 - 6. On the first floor you will find the information office of Luna Volcán, Adventure SPA.